We all say things like, “I want to perform more,” or “I want to take more classes,” but often these vague goals get us nowhere in our careers. 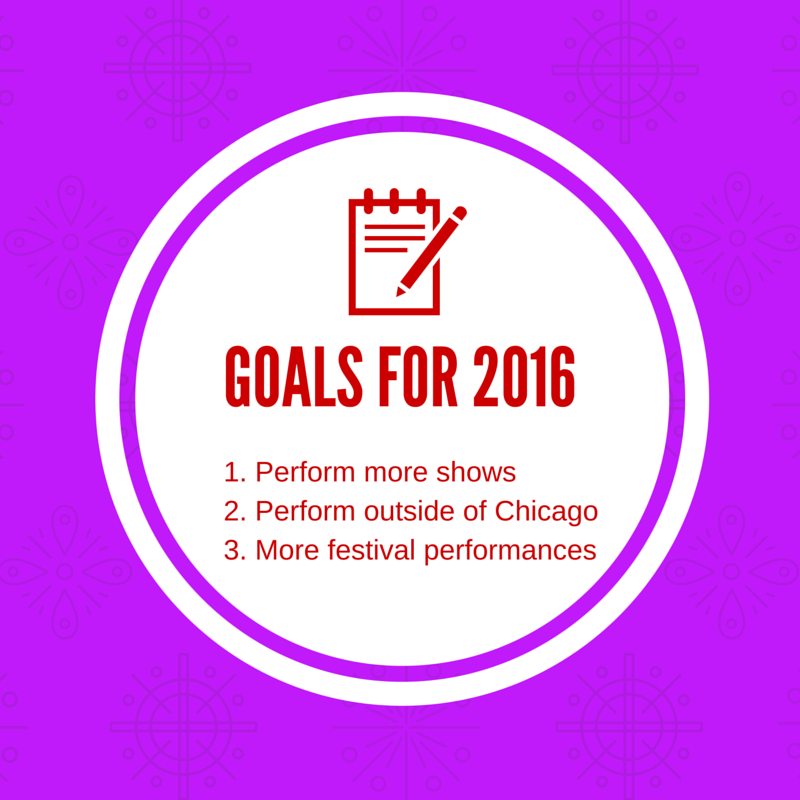 Instead, I’m going to implement SMART goals into my burlesque goal setting for 2016. Below, I will spell out what my goals are, break them down by numbers, and further break down the steps that I hope will get me there. These notions are pretty vague, read further for how I specify these into quantifiable goals. First, I’d like to start out with explaining what SMART goals are. It’s a goal that is Specific, Measurable, Achievable, Realistic, and Time-Bound. So if I say, “I want to perform more,” that does not define how much is more, and in what time line. If you performed 15 times in one year and it took you 2 years to get to 20 performances, you could arguably say you made your goal. But more than likely, that was not your intent. Saying, “In 2016, I want to perform in 10% more shows than in 2015,” you defined the number and the time frame, and 10% more shows should be achievable and realistic if you take the right steps. I would like to perform more. There, I said it! I performed in 28 non-festival shows last year. 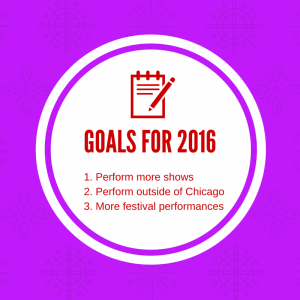 For my 2016 burlesque goal setting, I decided I want to aim for a 10% increase, which makes the goal number 31. The steps to get to 31 performances are varied, as it will take a combination of continuous skills improvement, networking, and looking great on stage. Skill Improvement: I plan on scheduling 1 hour a week for private rehearsing time, which will be time I use for creating or sprucing up act choreography. I also plan on going to either 1 class a week or, if no class is scheduled, 1 hour a week either collaborating with someone or practicing a skill on my own. Looking Great On Stage: This part is admittedly more vague, but I have 1 costume I’m putting together for a future act and another I’m revamping for a current act. I will schedule 1 hour a week that will be dedicated to either costume work or burlesque business work (depending on what I need to work on for that time frame). The new costume has a deadline of April, as that’s when I hope to debut the act. I have not created a deadline for the revamped costume yet. Networking: The major component I’m focusing on for this is to go see more shows. Since I’m currently underemployed, I can’t spend too much money, so I’m aiming for 1 show that I’m not performing in per month, and I hope to increase that to at least 1 show every other week once I’m settled in a better paying position. I want to expand to perform outside my hometown of Chicago, and it would seem that focusing in the Midwest region would be the easier way to get there. I set a goal of 4 out-of-town non-festival performances. The steps that I will take to reach that number will include reaching out to Midwest troupes and have my information up-to-date. Reaching out to Midwest Troupes: Facebook makes it easy to identify and research troupes and shows in the Midwest. There is a Midwest Burlesque Facebook group that I can also reach out to for inquiring about potential out of town opportunities. I will take time in the month of January to reach out to at least one troupe in Indiana, Wisconsin, Minnesota, Iowa, Ohio, and Missouri. I haven’t quite quantified beyond that step, but I know further relationship building will be needed. Last year I performed in the Great Burlesque Exposition with a group act and in the Windy City Burlesque Festival with an individual act. I was also accepted into one other festival I ultimately wasn’t able to attend. To go hand in hand with my goal of performing more in the Midwest Region, I’m planning on focusing my festival applications to Midwestern burlesque festivals, although I may also apply to the New York Nerdlesque Festival, because I am, in fact, a nerd and want to be with my people. This goal will require me to improve my abilities, which I’ve already addressed, and also make sure I have excellent video. Excellent Video: I will need to review the video I have for the acts that I think are or potentially could be festival worthy. I know for some of my acts that I love, I may end up not liking the video I have available and will need to re-record specifically for submission. I will want to do this quick as there are some festival applications coming up in January and February. I will evaluate at least 2 acts for January and February submissions, and at least 2 more for submissions by May for later in the year. These are the goals I plan on focusing on this year. Many other people may choose to work on increasing their pay, creating more acts, or putting a new skill into performance. The sky is the limit for what goals you can set for yourself! I’d love to hear about the goals you have set for 2016. Do you have some vague notions and would like help making them more specific? Comment below, I’d love to help! I’ll also be tagging my social media with #werkyourgoals when I post about a step that has gotten me closer to success. Feel free to join in! Follow Phaedra’s board SMART Goals on Pinterest.